I originally compiled this tips list for kayak fishing several years ago. I’ve retooled it a bit and wanted to reintroduce it since we have approximately 500,000 more people fishing from kayaks since its initial release. As always, if you have something to add, drop us a comment and please share with your friends. Sometimes staying on a spot is very important and nature will try to push you off of it. Whether it be current, wind or passersby, learning to maneuver your kayak well will add time fishing and reduce frustration. A proper paddle stroke will actually propel you at the same speed or faster than the “digger” who goes all out. Make sure to look up a local ACA paddling course. It will be money well spent. Ike in one of his first trips out as a kayak angler shows the “digger” form with way too much effort on brute power as opposed to form. Also, he doesn’t appear to be wearing a life jacket. And his paddle is rotated the wrong direction. Some of us are social; some are not. A nod and a wave will usually suffice. If someone has time and/or wants to chat, they’ll give you an opener. If you don’t have time or don’t want to chat at that moment, be courteous, answer the opener and let them know you are heading up stream. It takes some practice but it is well worth it to let people know you’re not a tool. Getting on the water by yourself can be scary, especially for a newbie. If you talk about kayak fishing as much as I do, you know who would be interested in going. Take them out and do it with the intention of being the “guide”. If your goal is to catch fish, you’re doing it wrong. The goal should be for THEM to catch fish. Help them with technique, stay close for questions and encourage them along the way. Most of the time the person fishing where you were wanting to fish isn’t doing it because they are vindictive spot stealers. Most of the time they paddle by, think a spot looks fishy and decide to throw some bait at it. Maybe start with Rule #2. Very often I’ve seen kayak anglers invite another to join them and even tie up to them. Show some excitement when someone tells you about their new Pelican kayak they bought. They wanted to kayak fish and now they can. Be happy for them. Don’t tell them their investment is a piece of trash or too hard to paddle. We all start somewhere and not in the same place. Tell them “Welcome to the Addiction” or something along those lines. If someone has shown you how to do something, pass it on! In the medical field they have a mantra that I like a lot: “Watch One, Do One, Teach One.” This keeps the fountain of knowledge flowing to future generations of kayak anglers. If someone looks like they are struggling loading or unloading, if someone drops some gear on the way to launch or if someone is looking puzzled while staring at their kayak, ask if you can help. It’s pretty easy, most of the time they really appreciate the question, even if they decline help. I have had many a trip made easier by someone helping me put my kayak on my car. When you are fishing, unless you have been invited to come closer, stay at a good distance. Nobody likes a potlicking vulture. If you ask to come closer or leap frog to a spot up the bank be prepared to hear “No” and be okay with it. 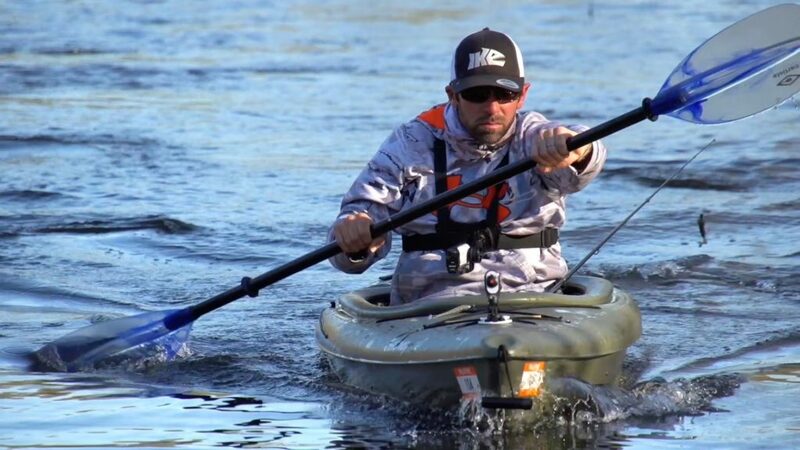 Those are my top 12 etiquette tips for kayak anglers. Hopefully they all make sense and you get where I am coming from. Let me know what else should be included on the list and share with your friends! I do like it when you said that kayaking is a fun sport, so it is best to not overthink it and enjoy the moment when a person is doing it. I will make sure that I share this with my sister because she is coming with me to go kayaking. Knowing her, she is the type who thinks and calculates everything. She needs to know that this time around, I will not tolerate her being worried about everything. Thanks! My wife wants to go on a kayaking trip with me, but she has never gone before. I really like how you mentioned that being organized and having the proper storage can make the day much more successful. Thank you for all the kayak fishing tips. Great article and all about, I found this information very helpful. Now, i am planning to take a trip there. And thanks a lot for sharing this.. I like the tip you gave to stay safe while you are boating by always wearing a life jacket. My wife and I won a fishing trip, and we want to make sure that we know everything that we need to before we go. 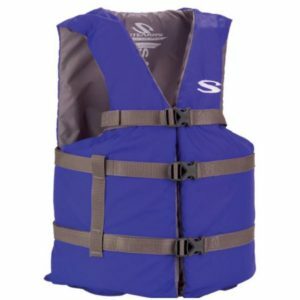 I will be sure to let my wife know that we need to get life jackets for our fishing trip, so we can stay safe.